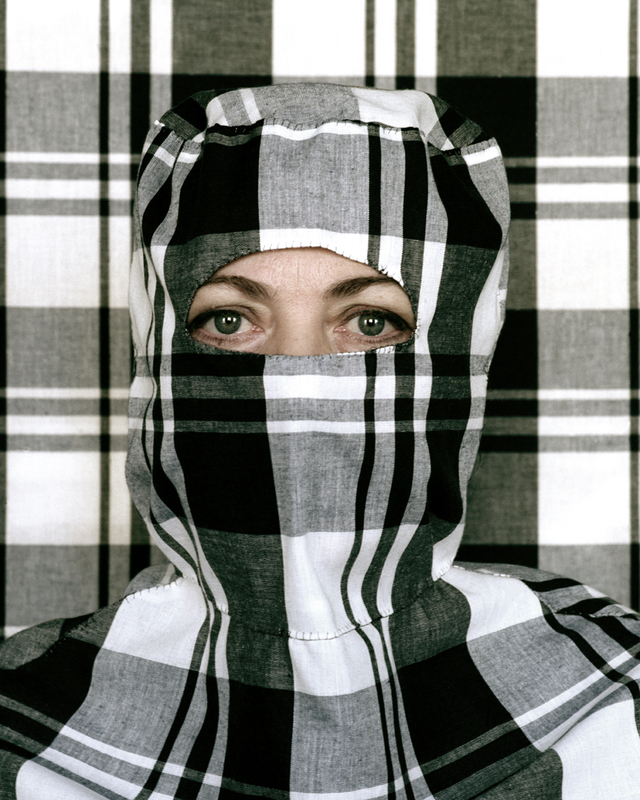 CHECKER HOODS are portraits of persons photographed in checker hoods, with equaly but different square-checkered background. The hood origins from Thailand, where this kind of hood is seen in everyday-life and used as protection at work in foundries, road construction, agriculture works. 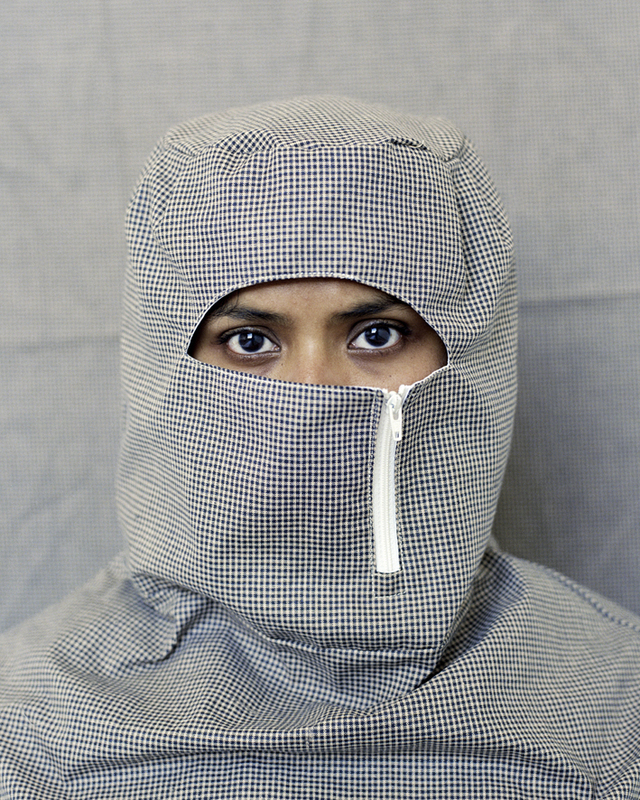 The thai hoods are home-made in checkered cotton fabrics, sometimes with zippers, sometimes withsunprotecting eyescreens. I have purchased cotton fabrics in the countries where I lived and worked and made my own hoods at the location for every photosession. 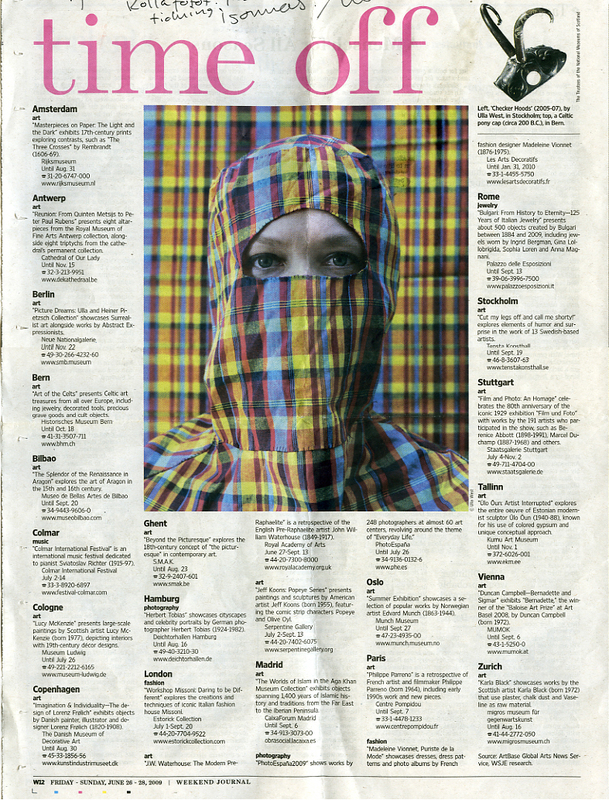 The ”models” are colleagues or acquaintances who have chosen their own fabric-grid. The modelling persons are from Sweden, Norway, France, Holland, Argentina, Brazil, India, Britain, Israel, United States. 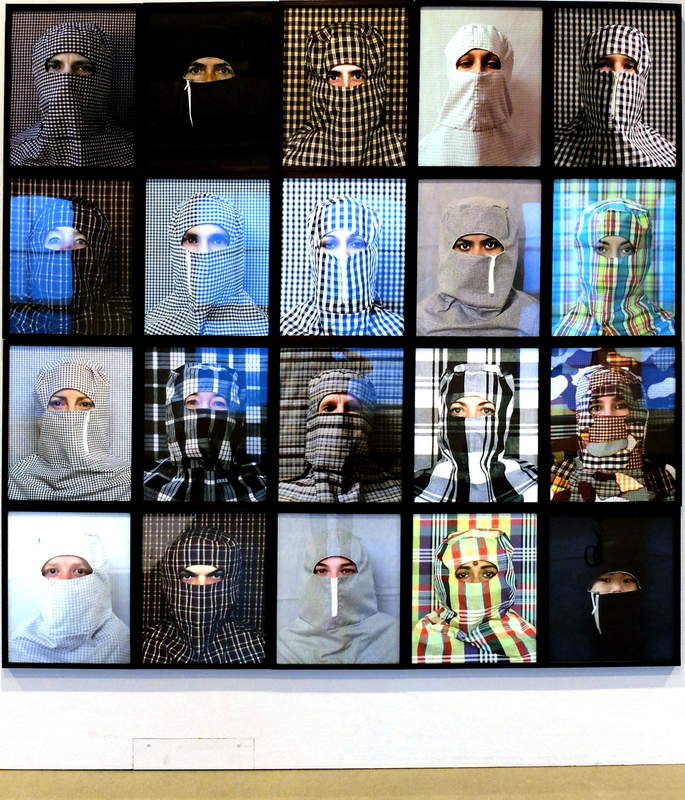 Checker Hood consists of 40 portraits, each 40×50 cm. I used a Hasselblad camera with 50mm lens, Kodak EPS colour negative film. 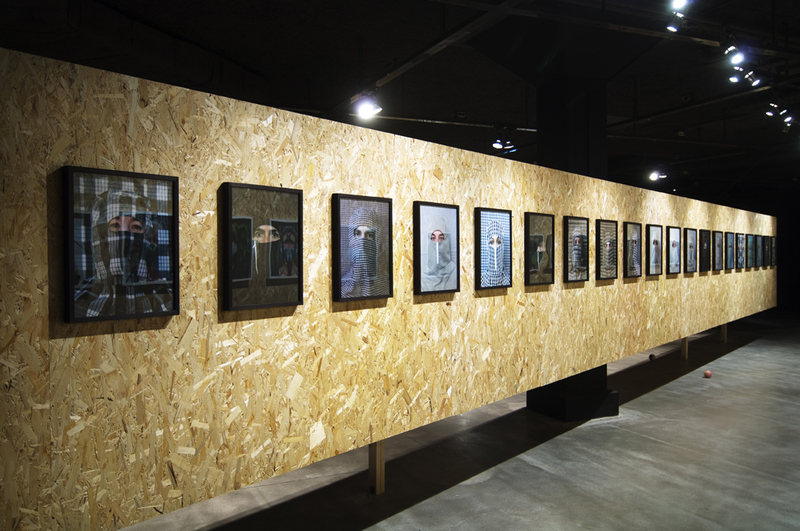 The film was developed at Crimson lab in Stockholm and the prints made by Sven Westerlund/Projector.